Of all Jane Austen's heroines, Emma Woodhouse is the most flawed, the most infuriating, and, in the end, the most endearing. Pride and Prejudice's Lizzie Bennet has more wit and sparkle; Catherine Morland in Northanger Abbey more imagination; and Sense and Sensibility's Elinor Dashwood certainly more sense--but Emma is lovable precisely because she is so imperfect. Austen only completed six novels in her lifetime, of which five feature young women whose chances for making a good marriage depend greatly on financial issues, and whose prospects if they fail are rather grim. 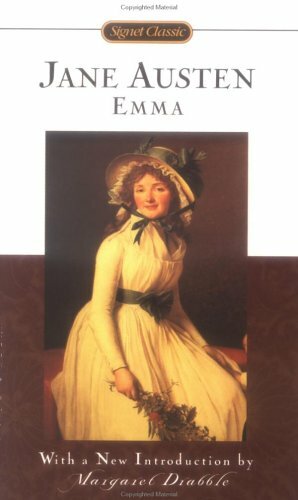 Emma is the exception: "Emma Woodhouse, handsome, clever, and rich, with a comfortable home and happy disposition seemed to unite some of the best blessings of existence; and had lived nearly twenty-one years in the world with very little to distress or vex her." One may be tempted to wonder what Austen could possibly find to say about so fortunate a character. The answer is, quite a lot.